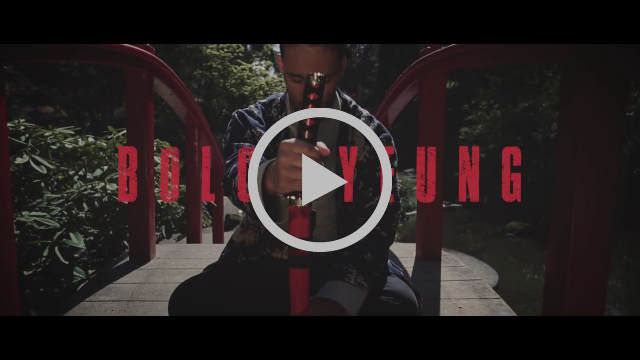 "Bolo Yeung" is the debut single/video from father/son MC combo Lone Wolf & Kub. Like its name sake, the track is an aggressive force that immediately presents itself as the baddest in the room, beckoning to the days of braggadocio mic skills where all that mattered was who had the hardest lines. Produced by Lavish Beatz, the beat matches the mood perfectly with its thundering bass line and frenzied piano hits. This is an auditory samurai showdown at its finest. A father/son duo hailing from Washington State, Lone Wolf & Kub is the perfect combination of golden era lyricism spliced with cutting edge soundscapes and cadences. Made up of Shao Sosa and his son Nobi, the two are quickly cutting a path to the front of the burgeoning Northwest Hip Hop scene. Sosa is an underground industry vet with over 25 years cutting his teeth alongside names as different as Mac Dre and Ras Kass while Nobi is a vicious micsmith just hitting his stride. Their forthcoming self-titled debut album is a testament to the years they have spent together honing their sound. Many many thanks my friend!